What movies do you and your family like to watch together? Recently Jon Finkel and I hosted a Lunch Break Show on the Life of Dad Facebook page about what are some great family movies. You can check out the show here. 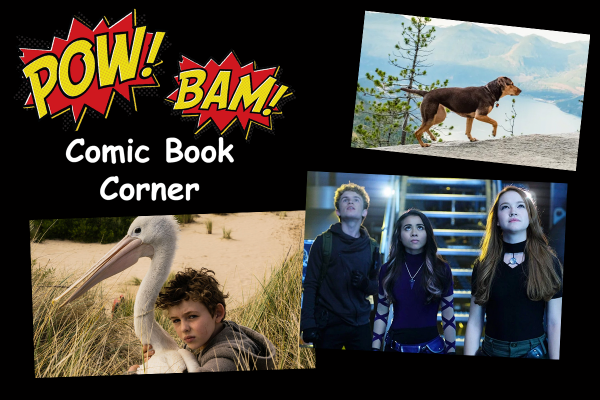 The first movie Storm Boy comes out in theaters next month and Kim Possible is out now DVD, The Kid Who Would Be King is out on Blu-ray comes out out on April 16th and A Dog’s Way Home will be available on Blu-ray on April 9th. ‘Storm Boy’ has grown up to be Michael Kingley, a successful retired businessman and grandfather. When Kingley starts to see images from his past that he can’t explain, he is forced to remember his long-forgotten childhood, growing up on an isolated coastline with his father. He recounts to his granddaughter the story of how, as a boy, he rescued and raised an extraordinary orphaned pelican, Mr Percival. Their remarkable adventures and very special bond has a profound effect on all their lives. Based on the beloved book, Storm Boy is a timeless story of an unusual and unconditional friendship. Thanks to Good Deed Entertainment I was able to check out the movie here at home and I really enjoyed it. It is a very touching tale about caring and bringing generations of a family come together. We were also sent an adoption kit to help out with the life of a pelican. I was sent a package from the World Animal Foundation. It was an Adopt A Pelican Kit that came with a photo of the pelican I adopted, a Adopt A Pelican Adoption Certificate, some news and information about my pelican that I adopted. Plus there was some information on how you can help animals and the environment that my daughters and I read to each other. We were going to receive a pelican plush. Please note: Good Deed Entertainment sent me the kit and the movie to screen, but my thoughts are my own. Based on the global hit animated series, the live-action Kim Possible Disney Channel Original Movie follows everyday teen hero Kim Possible and best friend and sidekick Ron Stoppable as they embark on their freshman year of high school, all while saving the world from evil villains. By their side every step of the way is teen tech-genius Wade and new friend Athena, who also happens to be a Kim Possible super fan and is eager to join Team Possible. While Kim and Ron have always been one step ahead of their opponents, navigating the social hierarchy of high school is more challenging than the action-hero ever imagined. With Drakken and Shego lurking in the wings, Kim must rely on her family and friends more than ever. Now it’s up to Team Possible—Kim, Ron, tech-genius Wade, new friend Athena and Rufus, a naked mole-rat that Ron meets along the way—to stop these super villains. Plus check out my interview with Todd Stashwick who does a great job playing the role of Drakken. This movie is really special for me and my daughter. We got to go to NYC for a screening and to interview the cast. It was a great father-daughter moment that we will never forget. Check out the interview that my daughter and I did with the cast! The movie comes out on Blu-ray on April 16th and you and your family will love it. The Kid Who Would Be King is where old school magic meets the modern world in the epic adventure. 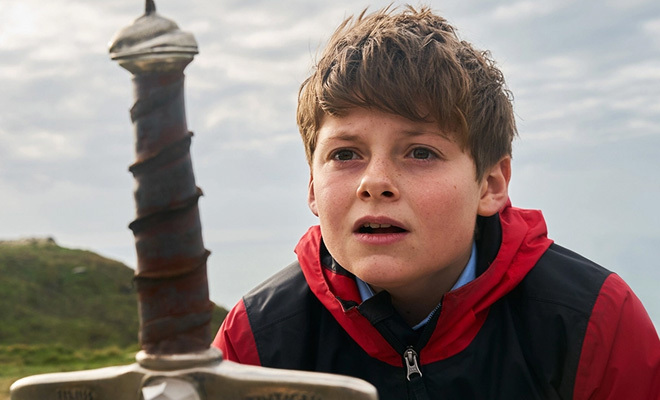 Alex thinks he’s just another nobody, until he stumbles upon the mythical Sword in the Stone, Excalibur. Now, he must unite his friends and enemies into a band of knights and, together with the legendary wizard Merlin ( Patrick Stewart), take on the wicked enchantress Morgana. With the future at stake, Alex must become the great leader he never dreamed he could be. For more info go to TheKidWhoWouldBeKing.com. A Dog’s Way Home chronicles the heartwarming adventure of Bella, a dog who embarks on an epic 400-mile journey home after she is separated from her beloved human. As a puppy, Bella finds her way into the arms of Lucas, a young man who gives her a good home. When Bella becomes separated from Lucas, she soon finds herself on an epic 400-mile journey to reunite with her beloved owner. Along the way, the lost but spirited dog touches the lives of an orphaned mountain lion, a down-on-his-luck veteran and some friendly strangers who happen to cross her path. Be sure to look out for my interview with the director of A Dog’s Way Home, Charles Martin Smith. I will post it soon here at Life of Dad.